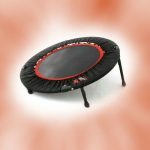 The Springfree trampoline offers a long-lasting, durable and fun outdoor toy that will keep your children entertained for years. 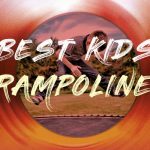 Trampolines offer a great way to get your children outdoors and be entertained for hours on end by themselves without having to resort to technology. Apart from jumping, kids can do a number of things on a trampoline. Sometimes they may like to do tricks and at other times, having a ball inside that simply comes back to you is more than enough for your little child. During birthday parties, we often find that a trampoline is a great form of entertainment and even when having children over just for a play day you’ll find that depending on the ages they do different things on the trampoline. Let’s see why the Springfree trampoline is the safest kid’s trampoline in the world. The net is very high and sturdy. It doesn’t feel as though it’s going to break easily nor does it feel like it’s intrusive or that you’re going to end up snapping it by falling into it. Kids often run into the net, land on it, do cartwheels into it and that’s part of what the trampoline has to deal with. The Springfree netting has a great set up for that. It will flex and it will absorb the impact. The netting is very strong and it has got twice the UV rating of many of the other net on trampolines out there in the market. The simplistic look of it also makes it nice and stylish fit for your backyard. The net has a very fine weave and you can’t get your fingers in it. The enclosure poles on the outside are quite bendy and that’s what they are meant to do. Therefore, when someone hits the net, the poles will bend and flex to reduce injury. The poles will also withstand the force of a child holding on to it or even pulling on it if they tend to fall. 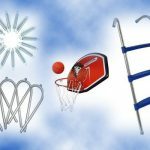 The frame of the Springfree trampoline is made up of very thick metal, which is very sturdy, and once you put all the pieces together during assembly, it creates quite a solid formation. 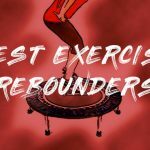 The flexible fiberglass rods that form around the base of the Springfree trampoline will actually move while jumping to absorb the weight and give the required bounce. 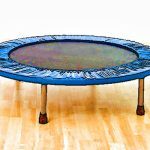 The unique thing about the Springfree trampoline is that the frame is positioned way below the mat surface and the person jumping on the mat surface cannot reach the frame. This is the safest design which we have ever seen in a trampoline. The Springfree trampoline has a fantastic weight rating. The frame structure has been tested to cope up to 1100 pounds and single user weight rating is up to 220 pounds. That means that when you have a number of children and friends at any one point of time you can be assured that it is safe and that it will cope with the weight. The door zip is easy enough for a two year old to open and close. The zip is big and can open / close downwards or sideways. The jumping mat is made up of polypropylene material. The unique thing about the Springfree jumping mat is that unlike other trampolines, a layer of yellow webbing covers the stitching. This protects the stitching from UV light and abrasion prolonging the life of the mat. 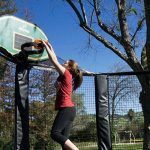 Springfree trampolines cost a lot more than conventional trampolines as they have been redesigned from scratch. The design is a lot more complicated than the design of a conventional trampoline. For instance, the protruded fiberglass rods cost more than the metal springs. The Springfree trampolines exceed all safety standards by quite some margin. These additional safety features and long lasting materials used in building this trampoline raises the overall manufacturing costs. The assembly is a relatively more difficult than a conventional spring trampoline. The assembly is not a single person job and it requires a lot of muscle power to attach the flexible rods to the jumping mat. You should read and understand the instructions carefully before you begin the assembly. In a spring-based trampoline, the metal frame is located closer to the jumper as opposed to a Springfree trampoline. Even if the frame is padded in a spring-based trampoline, there is a risk of a serious injury if there is a head impact on to the frame. The enclosure net if located inside the outer frame will not completely prevent the fall on the frame. 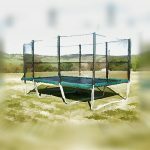 The Springfree trampoline does not have the risk of impact to the frame, as the frame is located at a great distance from the jumping mat. There is no hard frame on the edge of the jumping mat. By contrast the edge in a Springfree trampoline is flexible. The enclosure poles in a traditional spring-based trampoline are made up of rigid metal. Although the poles are padded, there is still a chance of injury if the jumper hits hard on the poles. In a Springfree trampoline the poles, which hold the enclosure in place, are made of flexible fiberglass material, which will bend and flex upon impact. Unlike traditional spring-based trampolines, the Springfree trampoline does not use metal springs or elastic bands. The flexible composite fiberglass rods instead replace the springs. Hence, there is no chance of fingers getting pinched or legs being stuck between the springs. Since there are no springs, so there are no holes for you to fall down.